Other features: 2 small maps for each part of the island (north/south). 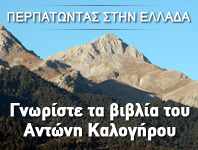 Due to the small size of the maps the use of Patmos hiking map by Anavasi is necessary. Size: H 20 Χ W 14 cm. Patmos has an outstanding network of old footpaths, which used to connect the settlements, rural areas and pasture lands with one another and with the Holy Monastery of Saint John the Theologian. The footpaths would also connect the settlements with the monasteries, hermitages and “kathismas” (small huts with only one monk) that are scattered all over the island. 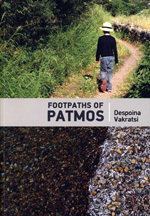 The footpaths of Patmos are mostly smooth to walk and reveal landscapes of breathtaking beauty, ancient and contemporary monuments, old monasteries, churches in the countryside, hermitages and turrets, the rich flora and fauna and the beautiful coastline.